These purses are made from vegetable tanned goat and calf skins that have been dyed using period dyes and they are made entirely by hand. 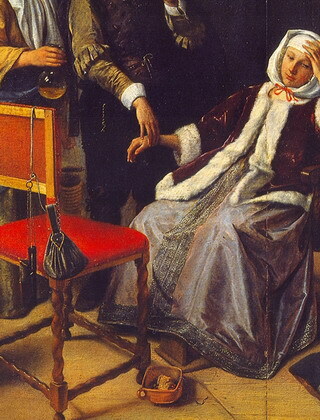 The design for this purse comes from "The Doctor's Visit" by Jan Steen 1661 and is a typical 17th century style. They have a draw string fronted bag with a stiffer back which helps keep their shape. They hang from a belt loop which is kept closed with a button flap. 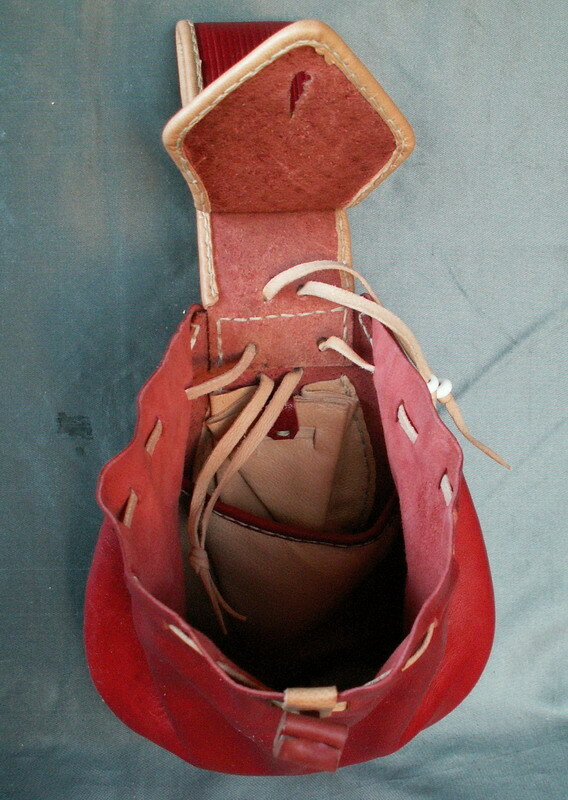 The more elaborate version has decorative tooling on the belt loop and flap. This design can also be made with an internal divider and small coin purse inside. The main pocket is 9 inches wide and 7 inches long (23 x 18 cm) when open and they are 12 inches long overall.